seeing your nice artistic work, I just read up on high-speed tracks. Cause I was wondering if 200km/h tracks would still have the gravel bed. Seems like they do, at least until 1980. I am referring to a wikipedia article in German where they state that from the 1990s on, high-speed tracks in Japan and Germany were built on a concrete bed; that has lower risk of flying stones and reduces maintenance cost as well. Also I learnt that your tunnel entrances are excellently mapping to the physical requirements : they need to be wide for high speeds so that pressure changes when entering the tunnel are reduced as much as possible. Oh, layout is good Perhaps the brick and stone textures could be a bit smaller. Apart from that, there isn't much to add, perhaps the double-sided versions could also merge the paved top, but that's not important. layout and tracks are verygood. With the sun standing South, the shadow could be even "bigger"; there would hardly be any rays touching the inner wall and actually, the track would largely be in the dark. At least in this perspective, which you posted, mEGa. Rotating by 90° clockwise, the shadow would be approximately like that. The sun is supposed to be 60° above the horizon, is it not ? It seems like if all use model of track for speed 280 km/h. May it be. No problem - but there is one thing that is needed to do too - replacement of electrifications. Without it it will not be complete. And of course, I wish I would like to see more types (shapes) of tunnels - regardless of I know that there is limitation. 200 km/h and 240 km/h are not to be considered High Speed tracks in this pakset. Railways are considered high speed if they allow peak speeds OVER 250 km/h (new laid tracks, 200 km/h for upgrading older lines). The pakset will have 3 specific High Speed tracks, allowing respectively speeds of 280 km/h, 320 km/h and 400 kmh. The first one will be pure conventional tracks (with ballast and sleepers), the second one will still have a gravel bed, but will use a sleeperless system ("half sleepers"), yet the fastest one will have tracks laid on a concrete platform. Really good work ! I like especially "100km/h" tracks. 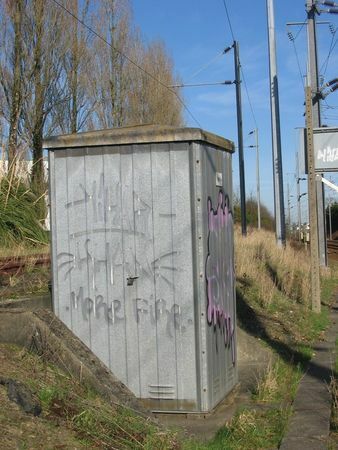 Often in the entrance of rail tunnels there are cupboards of service. Perhaps, add one of them could get more realism ? would you please explain this expression? i'm afraid, i don't understand it. Oups, I wasn't sure about this translation... It's a human size box to manage electric or communication networks. But we can also have railmen's workshop who work on tracks, may be ? That's actually a great idea imo. Oh, those! It's funny how the "cupboards" word moved my mind to my kitchen! And I couldn't find any relation with simutrans! Anyway, that's a fantastic idea mEGa. It may add realism as well as a bit of detail which will make the graphics more... uhm, dynamic, complete; and with rather a low effort. These kind of details added, and I'll try some, but my biggest concern is being repeated too many times: once it's great, twice is ok, but many of them in a small area could look too fake. I try to be more minimalist usually. But this one, I'll try it. By the way, bridges for 140, 160 and 180 km/h are almost ready, I hope to be able to post a screenshot tomorrow. For 100 and 120 km/h I'm planning to use an edited version of current bridges for, respectively, 110 and 160 (both should be Raven's). It is very possible and I was thinking pretty much of the same. Obviously they would cost 0 as they are just eye candy. But OTOH one route is often made consistently of tunnels of same speed (and thus same look). Maybe put the box not into all rotations of a tunnel ? Stations can have an even/odd alternation for platforms... the same logic could apply to ways and signals, perhaps? 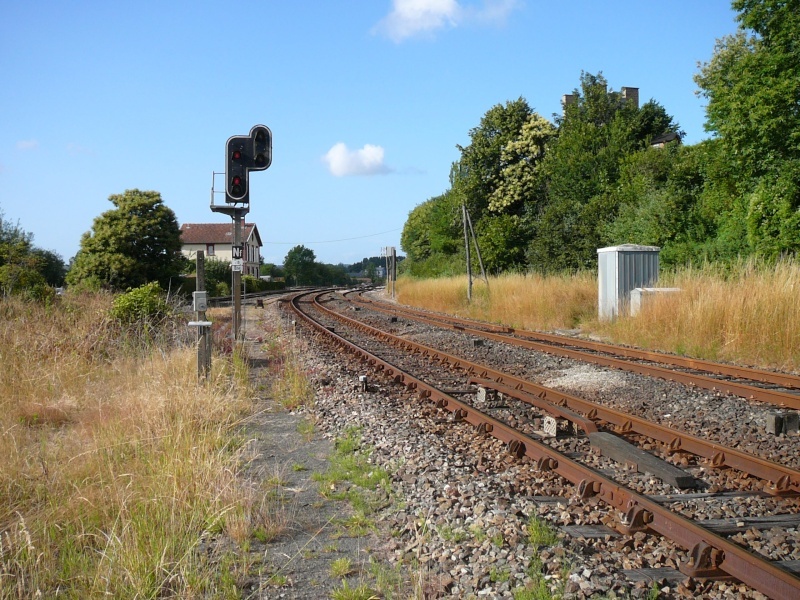 It would be quite nice to have a "signal bridge" that spanned two tracks, either as a single center mast with beams out to left and right, or as masts outside the tracks to left and right with a beam above across... and signals on top. Applied to tunnels, a twin-bore with two tunnel entrances could have only the "even" tiles with the signal-box "closet" (or "cupboard"). Just like stations. Bridges already can (the "double portal"). It might be worth a try. Yes, me too. It's quite perfect ! But I also know that it is rather impracticable and I aggree with the opinion of Fabio. So one more time : brilliant work especialliy 140 km/h bridge... Better than my old mine. I vote for it ! i like the fence at the brick viaduct in particular. seems like the bridge builders influenced each other a lot and pushed quality further and further. the new pak.britain bridges were unsurpassed before, but now, this puts the bar even higher. those maintenance objects are perhaps better left only eye candy. else you will find it on every tile without a signal with most players. power-gamer attitude isn't something one easily gets rid of. Those bridges for speed 140, 160 and 180 km/h are surely good - but I think that bridges for higher speeds deserve to have different shaped pillars. It means that they at least will not be (simple) rectangles like on bridge for speed 180 km/h. Will this also include a catenary replacement? For example, the sudden switch from standard to third rail and then back to other types of overhead catenary was always giving me an aesthetical headache in pak128. Arkadiusz, I created overhead catenary for speed 160 km/h some time ago. It is not perfect but if you would like to use it, you may find it here - together with else objects I prepared. Those pages are written czech, so you can understand them a little - but simple click on text Stáhnout for downloading of those ones. But else, on the other hand, you are right. Replacement of catenaries is needed - but you are not the first who is asking this. Missing overhead one for speed 160 km/h is one point - and not well done one for speed 400 km/h (where are some imperfections - like wrong poles in T-crossings) is other point. I'm having a go at elevated railroads (according to the plan). Here the biggest problem is the placement of pillars, especially for structures less wide than a standard tile. I want to avoid trains or trams underneath running into bridges, and the junction with straight segments needs to look decent in all possible combinations (I tried the same alignment of pak128.Britain, but it can give odd arches). Alternating arches of different span is not so uncommon in RL, and here it respects tiles alignment. normally, double track rail viaducts are joined together as with one large deck, so I don't think it would be too out of place if the elevated ways were a full tile wide. I don't know how you are painting them, but have a look at 4-way arches. Even when cut at a diagonal, they look like a regular bridge. For even better looks, chop off the pillar from one side of the diagonals. It's all about what can be seen under orthogonal projection. plus, they would match up better when road elevated is drawn on top. But, for the sake of consistency, also regular bridges for the same speeds should be 1 tile wide. Probably this is the way to go, I'd like some more opinion, but if I enlarged to full tile width bridges and elevated for speeds from 140 km/h up things would be MUCH easier to paint. I think the pillars are thick in the plane perpendicular to view, so their width can't be seen at all (just like side-on vehicles). It is very promising, but I saw that element of perspective for diagonal pillar isn't right. imho, this part should not be drawn. See snapshot to understand my opinion.